1) This shelf is made up of upright, beam, bracing and layer panels ect. 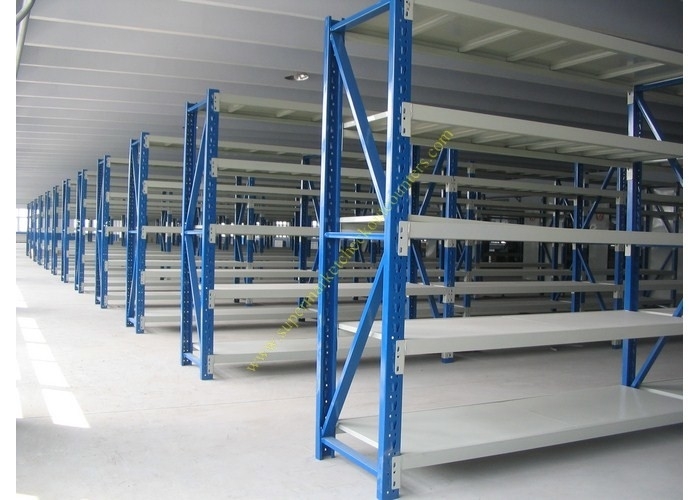 2) The shelves can easily be set to any height individually, so as to satisfy the operating requirements for different sizes of goods. 3) This type of shelf has good loading ability and can be assembled and disassembled easily. 4) The shelf panels have underside reinforced steel hat rails, so have good loading capacity. 5) The horizontal beams do not require bolts as safety locking pins are included. 1.Different requirements (colors, dimensions, etc.) are warm welcome. 2. Perfect design exquisite technology, strict management sincere service. 4. We can provide OEM service for you. 5. 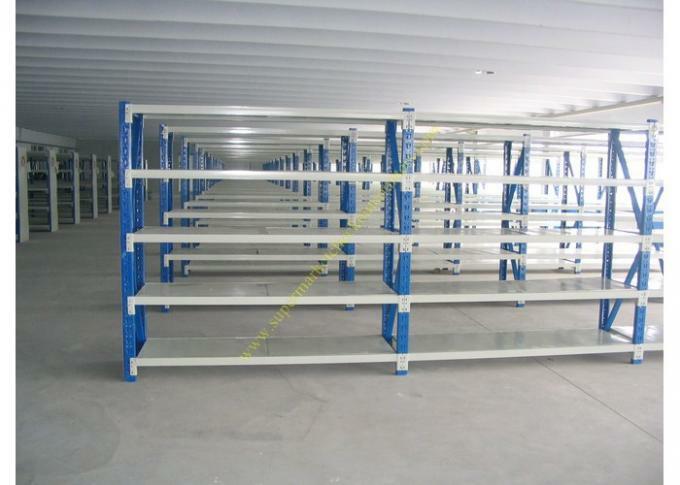 It can be used as a single unit and also it could be a part of the racking system. 1 year warranty for all kinds of products; If you find any defective accessories first time, we will give you the new parts for free to replace in the next order, as an experienced manufacturer, you can rest assured of the quality and after-sales service. 2. Payment: 30% deposit paid by T/T, the balance 70% before loading.